Huzzah! 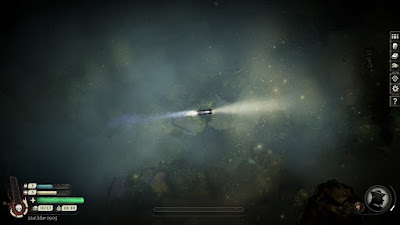 I just finished my first successful game in Sunless Skies! 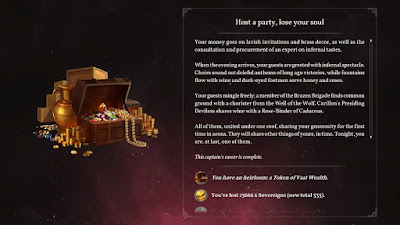 As with Sunless Sea, my first Ambition to complete was Wealth. Both games took me about three weeks, playing multiple captains along a single lineage, to reach that point, but I think Skies felt like a quicker journey. The resets on death are much less painful, and you don't need to spend as much time building up the "scaffolding" of a legacy. 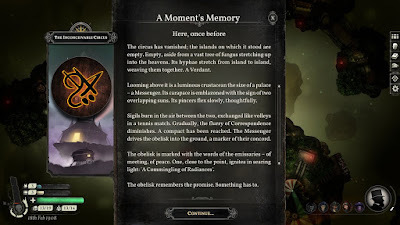 And it feels like there's more narrative thrust in Skies, though it's been years since I played Sea and my memory may have faded somewhat. Anyways! Let's do a quick run-down, then I'll natter a bit about my Captain's voyage and some light lore speculation. Perfect ratio of text to action. The storylets are meaty enough to feel significant, but never drag on long enough to overstay their welcome. Roleplaying opportunities. I don't recall any time I felt forced into a choice I didn't want. Which is impressive, since you often only have two or three options, but at least one will feel compelling. Roleplaying multiple captains. This is a great escape valve: You can pick the "bad" options for various storylines out of curiosity, without feeling like it's "you" who is doing this: you're seeing what a particular character does, and will see someone else making better choices in the future. Challenge. 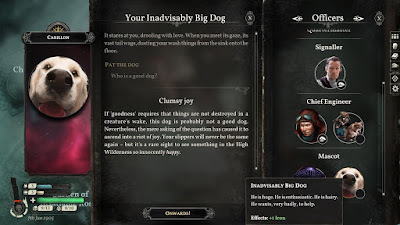 Since tuning down the combat settings, the whole game has felt nicely balanced: good challenges at the threshold of progression, consequences for failure that feel significant but not debilitating, a sense of progression that turns once-daunting scenarios into more trivial encounters. Replayable narrative. Probably the single biggest improvement over Sunless Sea in my opinion. In some cases, like Traitor's Wood, what might be a fraught multi-week voyage to crack on your first captain can be satisfactorily completed in a single trip with a later captain, once you can anticipate the requirements. Ongoing narrative. 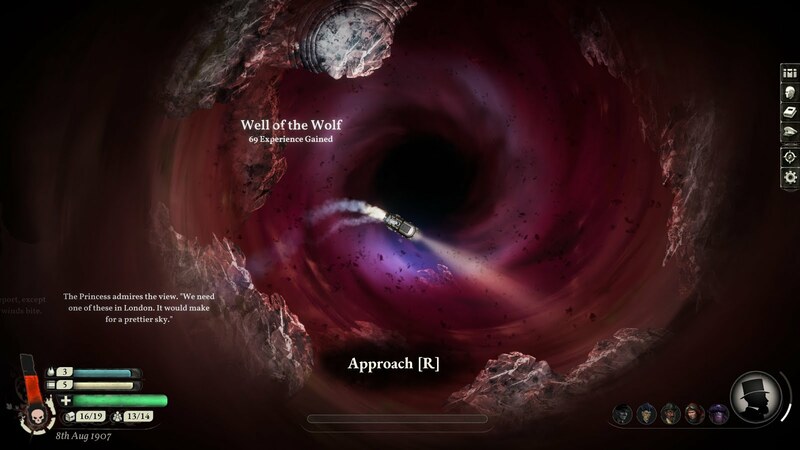 As above, this is a big improvement over Sunless Sea: certain narrative actions of your captains are permanent, and will continue to impact subsequent members of your lineage. This is especially gratifying for expensive or time-consuming plots. Your later captain may need to make a quick visit, and then will be free to immediately share in the benefit and/or continue the story. Artwork. 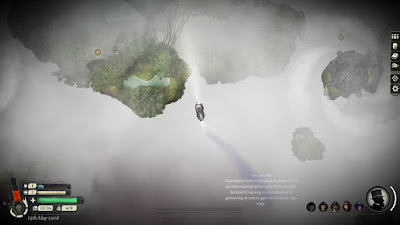 I'm particularly amazed by the gorgeous environmental art, the various skies you fly/chug over. 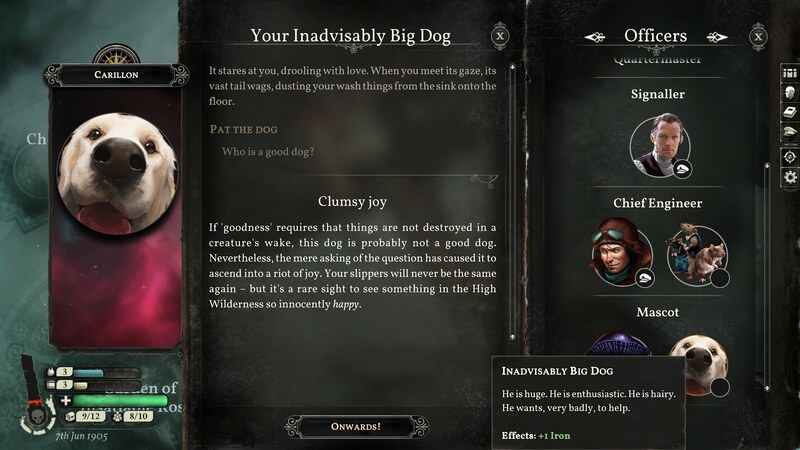 Character portraits are also fantastic. Build options. As with so much in this game, it lives up to Sid Meier's famous aphorism about a game being "a series of interesting questions". Trading off, say, hold slots versus crew quarters, or assaying versus mining, is interesting. And situational! 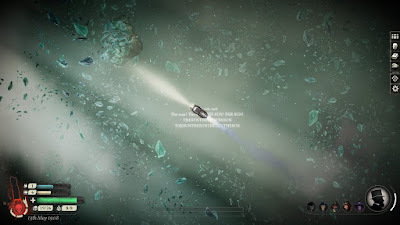 I personally found the Reach better with crew and mining, and Albion with hold and assaying. Other captains may feel differently, or have entirely different options available based on their qualities. Area design. There's a wonderful cohesion and logic to each region: not just a random collection of ports, but a real environment and story. Spending time in the Reach, you get the strong sense of this being a wild, lush, mysterious land. So it makes sense that, say, Supplies are plentiful, but you can't count on finding Fuel everywhere. Whereas Albion is industrial and highly developed, so the opposite is often true there. Lore. 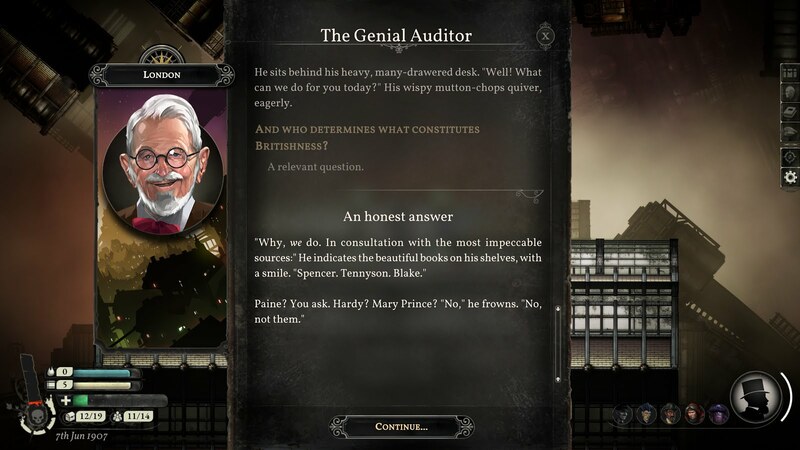 It builds on the marvelous Fallen London cosmology that Failbetter has been growing for a decade, and manages to feel revolutionary and revelatory. We aren't just getting a firsthand look at the Judgments and the Correspondence: We're hearing about entirely new entities and concepts for the first time. Themes. 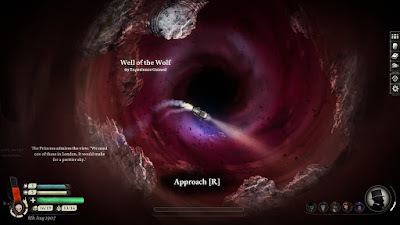 I wrote about this a little in an earlier post, but Sunless Skies has a lot to say about our own world, despite being set a century ago in another universe. It doesn't exactly beat you over the head about these things, but neither does it shy away from them. Humor. There's more horror than humor in the game, but plenty of both. The narrative voice can be wonderfully understated, droll, or sardonic, depending on the port and the subject matter. Combat. This has gotten a lot better since making it easier, but it's still one of my (personal) less favorite parts of the game. Evading works really well in places with obstacles, and I do appreciate the rewards for successful fights. Terror seems a lot less troublesome than in Sea. Even without doing anything special to manage it, I almost never get over 50, and when I do, it's cheap and easy to get it back down. 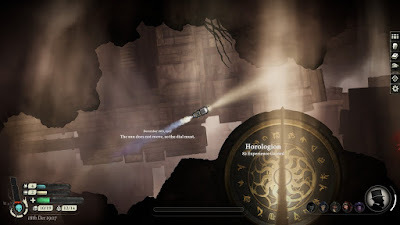 But I have been running with high-Hearts captains, which probably helps; I also haven't been to Eleutheria yet, which I understand has more Terror stuff. This will shock absolutely everyone, but: I wish there was more romance. I think I had a single option with one Officer, to whom I did not feel especially attached. 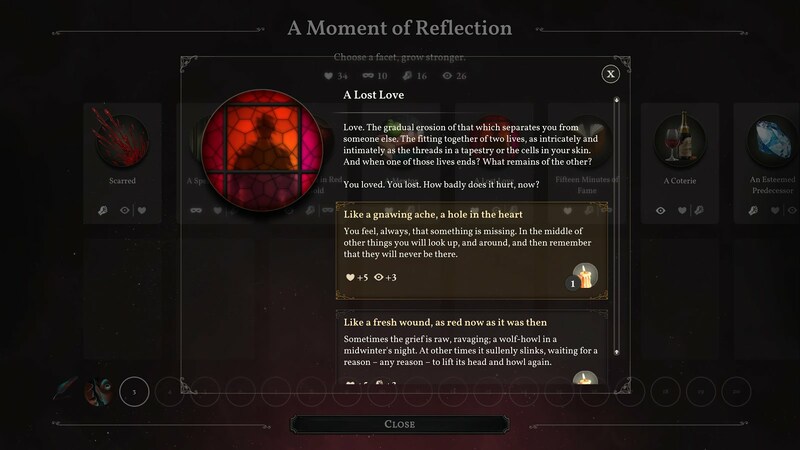 Sunless Sea had both the comforting domestic romance and the fraught shipboard flings; it's sad to not have either here. This is the story of Intendant Lloyd, an Auditor with the Ministry of Public Decency who started from humble beginnings to become one of the wealthiest men in London. 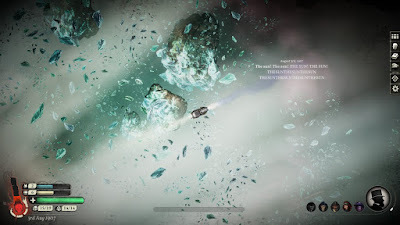 My general approach was to do all of the unique quests in the Reach first: Crew quests, location quests (Percy Blythe, etc. 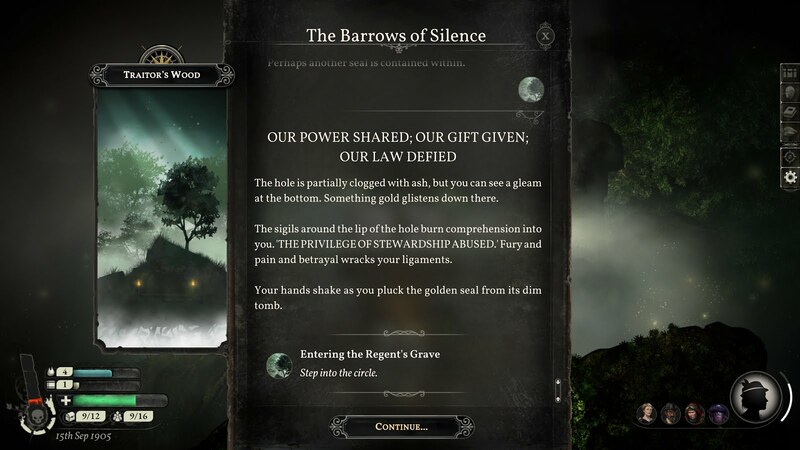 ), one-time port quests (Traitor's Wood expeditions, Circus restoration, Carillon investigation, etc.). 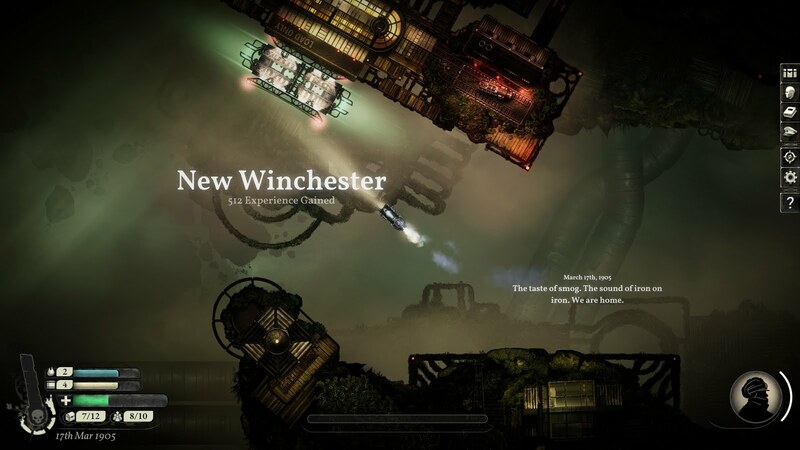 I would typically dock at New Winchester, grab Prospects, come up with a route (which might include, say, stopping by Leadbeater Nature Reserve to buy Seeds for Avon if I didn't already have some banked), figure out what narrative quests I could tackle on that same route, then complete it. This kept a lot of money rolling in while I was doing the fun story stuff. Once those were mostly exhausted (except for, like, one trip to Hybras that I didn't feel like making), I decamped for Albion. In future games I might do this earlier, as you can pick up the Quartermaster and start some quests like Horology that require you to return to the Reach. Anyways, in my case I pretty much followed the same system of staying in Albion and doing narrative quests in conjunction with fulfilling Prospects. By this point I'd assembled a decent bank of cheaply-acquired goods, so my routes started to get rather quick and focused, without needing extra trips to acquire materials. It might be more interesting to talk about what I didn't do. I never found the Eagle's Empyrean station in Albion, so a lot of my plot lines (including the Fortunate Navigator and the, uh, people-smuggling thingy) stalled out. 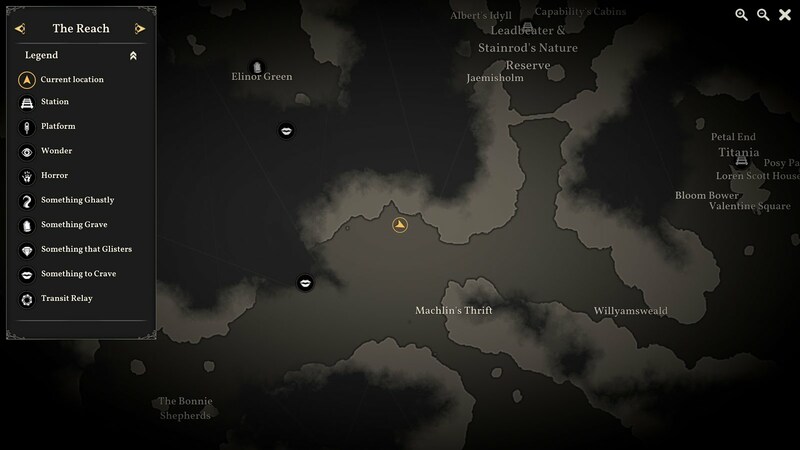 I also never found Eleutheria, where a lot of my Crew storylines were pointing to. On the other hand, I did get multiple plot lines taking me in to the Blue Kingdom, and spent a bit of time there. I was a little surprised at how easy it is to get in: just some permits and an Otherworldly Artifact, and the return trip is free. I made two circuits of the Blue Kingdom, grabbing some sweet exploration XP and loading up on some hard-to-get items (Immaculate Souls, Navaratine Gemstones). The enemies there are brutal. On my second circuit, I got chased from the Lyceum all the way back to the Transit Relay by the blue Correspondence, who kept slamming me with projectiles until the last second. I watched the screen nervously as they WHOMP WHOMP WHOMPed into the closing relay, hoping that they wouldn't count as damage against me, and made it out with less than 10 Hull. I did pick up an awesome Plating upgrade that also enables Assaying... but thanks to a poor choice with the cult of the Displeased at Avid Horizon, I never assembled the Hearts required to equip it. A situation I believe my next captain will be able to remedy! Oh! I should talk about that, too. All of my characters so far have focused on Hearts, then Mirrors and/or Iron, with Veils as my absolute lowest. I don't have a great sense yet for the various stats, but I feel like they're all pretty viable. Hearts helps a lot with reducing Terror in Albion and various random challenges. Oddly, most "convince people to do something" challenges are Veils and not Hearts, so I haven't been good at, like, elections. 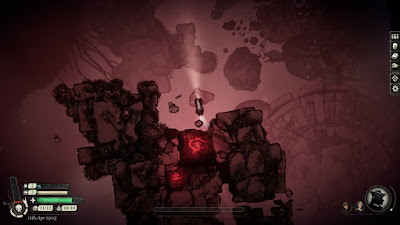 Iron and Mirrors help a lot with loot-related challenges. 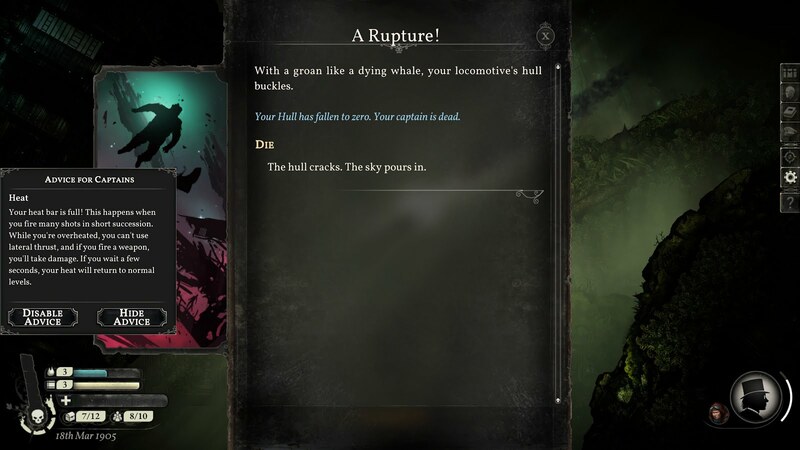 Unlike in Sunless Sea, your stats don't directly impact gameplay: for example, high Iron doesn't deliver more damage, and high Veils doesn't make you harder to hit. Besides being used for stat challenges in storylets, they also allow you to equip advanced equipment. Starter gear can be equipped with no stats, but better gear requires 25, 50, or 75 in a specific stat. Let's do some math! Getting 75 in all 4 stats would require 300 points. You start the game with 40 base points, then another 22 from character creation. Each level up gives you 8 more points. 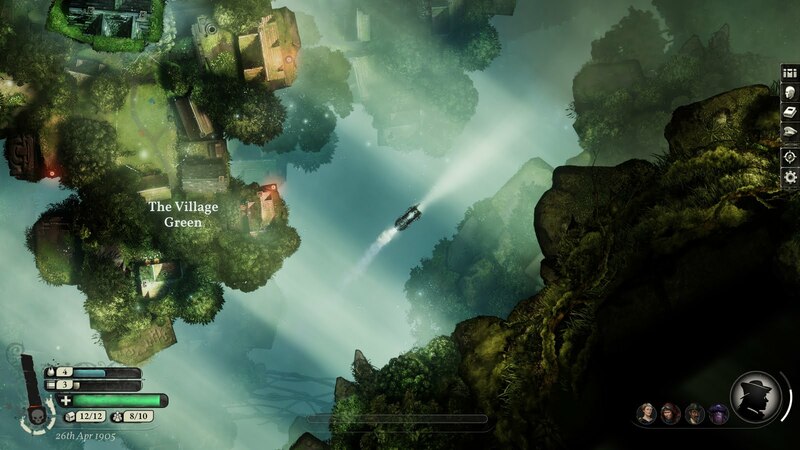 There are a maximum of 20 levels in the game, for a total of 160 points. You have 4 officer slots. A fully upgraded officer gives 10 points in a single stat, for a total of 40 points. Finally, the best Mascot I've seen yet gives 3 stat points. Adding this all together, you may be able to reach a grand total of 265 points with a fully maxed character. 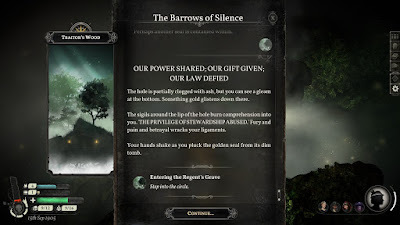 (In practice, you'll likely lose some stat points in storylets.) So, I don't think it's possible for a single captain to equip every best-in-slot piece. But you can reach 75 in 3 different stats, which I think is the ideal way to go. Uh, sorry for the tangent. Anyways, I'd bought the house in London for my Ambition. I wasn't worried about getting the money to retire, but it also requires some difficult-to-acquire items. 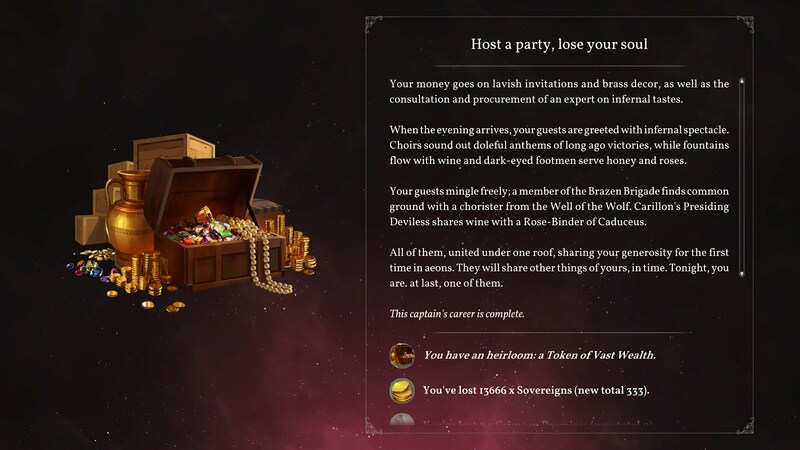 I actually really like how this Ambition is structured: you can choose which city to house your estate, and can also select from one of, I think, five different options to actually win, each of which costs a different amount of Sovereigns (ranging from 7,000 to 13,666), various collections of high-end Possessions (Searing Enigmas, Royal Dispensations, Cryptic Benefactors, etc. ), and possibly 5+ of a given Affiliation (Establishment, Villainy, etc.). Narratively I was mostly drawn to the Establishment-aligned one, but I was far closer to finishing the Infernal one. Most of the others require two Captivating Treasures, which I haven't even seen yet across all my playthroughs. I was able to get the required Crimson Promises at the end of two longish story arcs in Albion, then set about raising the money. This brought into relief something I'd been mulling for a while: Which is better, items or possessions? For most of the game I'd vastly preferred possessions. They don't take any space in your hold, and you can have an unlimited number of them; they come in handy in various unexpected places, and can often be transformed into other things. But possessions are very much the property of this specific Captain and not of your lineage. Every single item in your Bank will be transmitted into the future, so it's a form of solid capital wealth; possessions, on the other hand, are more of your human/knowledge capital. You can pass down a very limited number of these (1 for each Affiliation point you have), but anything else will be wasted. In my case, I took this as a prompt to visit all the areas in the game that are thoughtfully set up to liquidate Possessions: Titania for my Sky-Stories (I had over 60) and Visions of Heaven (I had over 40), the Royal Society for Academic items, and finally London itself for my Salon-Stewed Gossip and Ministry Permits. This was a lot of clicking! It did make me realize that I probably should have been gradually liquidating them along the way as I visited those ports; anything over, say, 20 of the low-level items will be more than enough, so you might as well get some XP and gold for it. Immediately before my retirement, I did wrap up the Rat Brigade's story and the Fatalistic Signalman. I'm very glad that I did! 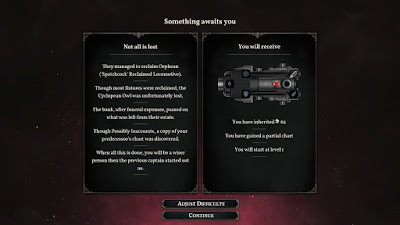 I'd gotten used to how your crew in Sunless Sea reset on each new captain, and it was a genuine delight to see the Signalman's own legacy continue in my personal future. So, yes, I am very happy with this game and already eager to start off the next! It's interesting to note that my next captain started in London and not New Winchester; this definitely makes sense, as that's where Lloyd retired. I do kind of miss Sea's narrative options to define how your legacy extends (a child, a partner, a rival, etc. ), but I should take the opportunity to think of my own creative meta-story for these characters. All of the Hours stuff is really interesting. Sunless Skies is famously set in a Victorian imagination of space, so it's different from ours: not as cold or empty, more like being really high up in the sky. Hours, though, feel like a way to kind of get something akin to Einstein's Theory of Relativity into a pre-Einsteinian universe. The basic idea is that you can mine time: physical material that contains seconds or hours or centuries. Those hours can then be applied to objects or areas to locally slow down time. 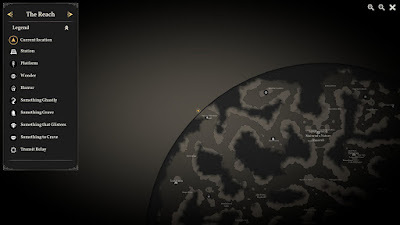 This is how long-distance travel works in the game: The Reach and Albion are very distant from one another (we would say many light-years away). By coating your locomotive in hours, the locomotive can make the, say, thousand-year journey from point A to point B while, from your perspective, only a single day has passed. That's all cool and supports the gameplay. Where this gets really interesting, though, is when you start considering what that would actually mean in society, specifically in the highly capitalistic Belle Epoque era of the early 1900s. Industrialists have created "Workworlds" like New Brabazon, enclosing them in Hours to locally speed up time. The laborers inside may toil for a year and produce a year's worth of finished goods, while outside the workworld only a week has passed. This is hugely profitable for the owners, and can be devastating for the workers, as they age and die far faster than their loved ones outside. But there are wrinkles here, too: as the overseers in the game observe, this also means that the revolutionaries have far more time to plot and prepare within their time-well than the overseers do outside it. This all also helps explain why Albion looks the way it does. By the calendar, we're less than a decade from when Victoria led the Empire through the Avid Horizon, so it's a bit startling to see such a huge and well-constructed infrastructure in place. But it's only a decade from Earth's perspective. Albion was built on the backs of labor, some of whom have spent lifetimes toiling to build. This gets alluded to by, say, the Fatalistic Signalman as well. Some grand projects that might seem like trifles or follies may have consumed entire lives to build. 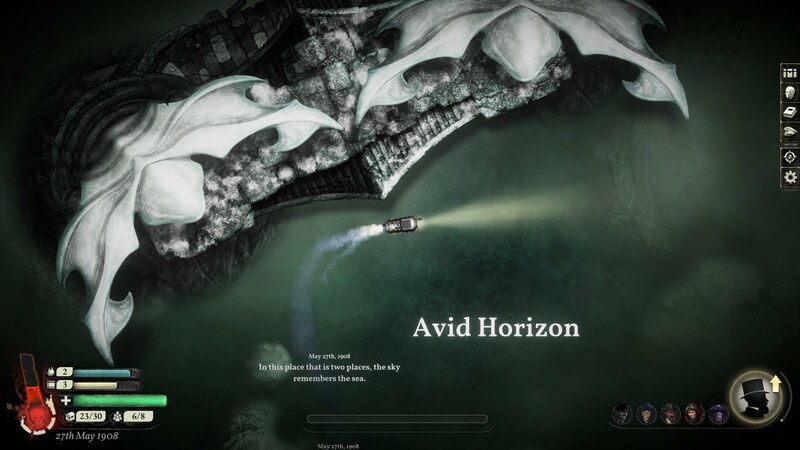 And speaking of Avid Horizon... 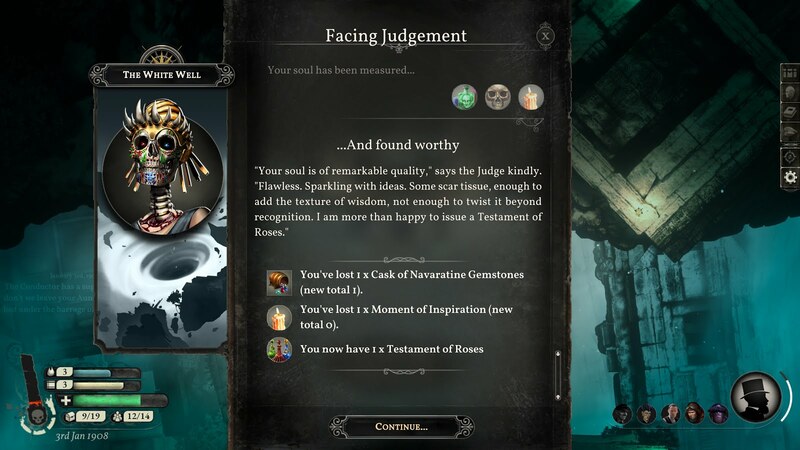 I haven't Sought in Fallen London, but I'm at least somewhat cognizant of the lore around NORTH, and did complete the Merchant Venturer's expedition in Sunless Sea. All that to say, it seems a little startling that was felt like such a private, personal, nihilistic pilgrimage by a single tortured soul has, apparently, opened the way for the entire British empire to follow. I never would have imagined that. Lots more to write, I'm sure, but that'll do for now. 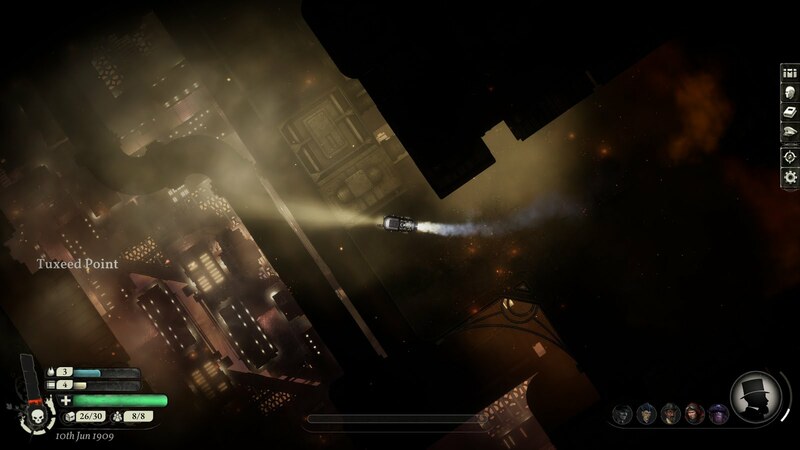 There's more Sunless Skies yet to play! I'm currently playing a poet who is attempting to write the Song of the Sky. There are at least two more Ambitions that will follow after that... we will see where those lead me! 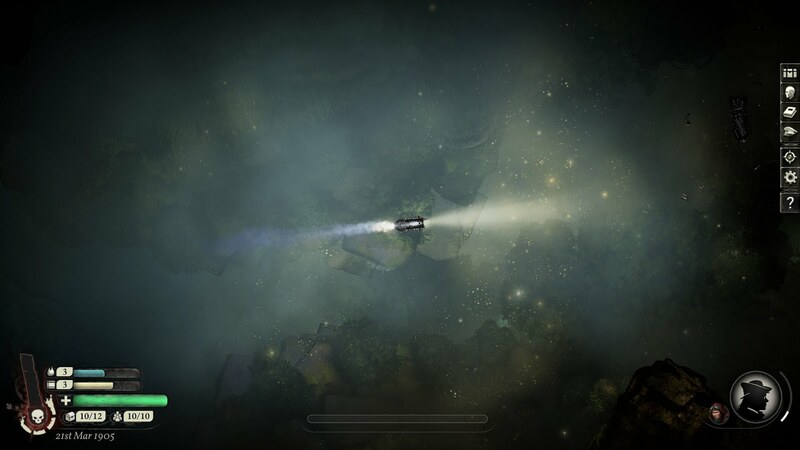 Yes, I'm still playing Sunless Skies. Yes, it's still a lot of fun! I'm not the only person to think so: I was surprised and delighted to read a glowing review in The Washington Post a few days ago. It's so funny to see this tiny, scrappy little London studio labo(u)r under the radar for so long and get very little notice for their indie games, and then they randomly get these huge endorsements from national publications like the New Yorker or the Post. Strange but wonderful! "Strange but wonderful" also comes close to summing up my impression of Sunless Skies; toss in "wistful" and "foreboding" and and you've just about got it. 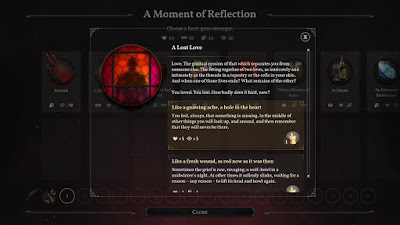 It's an evolution of the marvelous atmosphere of their earlier games: literally brighter than the nocturnal Fallen London and Sunless Sea, with plenty of remaining Victorian gothic atmosphere but also more moments of joy and peace. 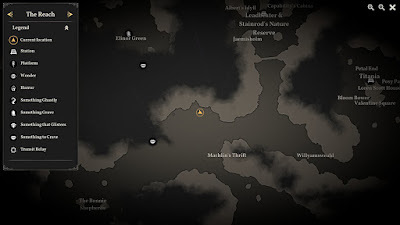 After all these years in Fallen London I still don't quite feel at home there, but I've swiftly grown attached to the ethereal domains of the High Wilderness, and find myself fantasizing about life there. My acquisition order this time was Crew, then Mining, then Butchery/Hold, then Hull, and finally Guns. If I were to do it again, I think I would prioritize Hold first: Having even a few extra slots makes a huge difference. 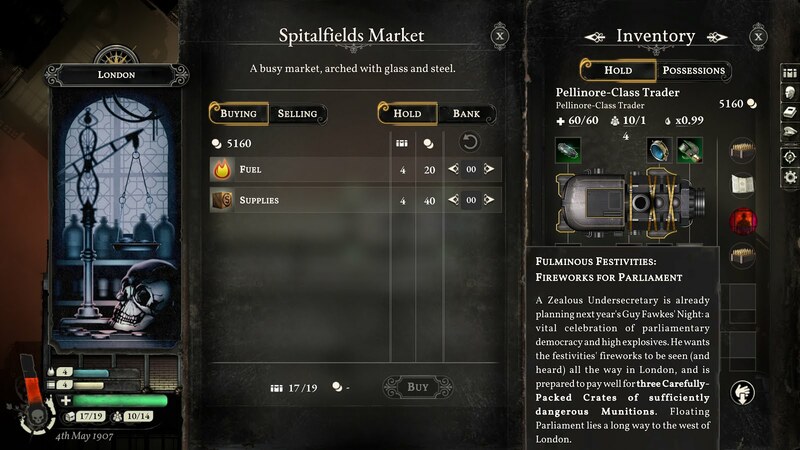 With your starter Hold, you only have space for a single Opportunity and your required supplies; having a couple more allows you to keep the free items you scavenge en route, and/or complete multiple Opportunities on a single circuit. After that, I might have prioritized at least one weapon. I need to revisit a statement made in my first post: after playing some more, I'm now viewing combat as an essential element of the game, not something to be blindly avoided. There are many reasons for this! The biggest one is probably that, unlike in Sunless Sea, every enemy in Sunless Skies is faster than you. Sea had the benefit of Full Power, a potentially-risky burst of speed that would swiftly take you out of harm's way. Skies doesn't have a comparable boost, and enemies will easily catch up to you, so in many (not all) cases you end up taking more damage while running away than you would facing them. 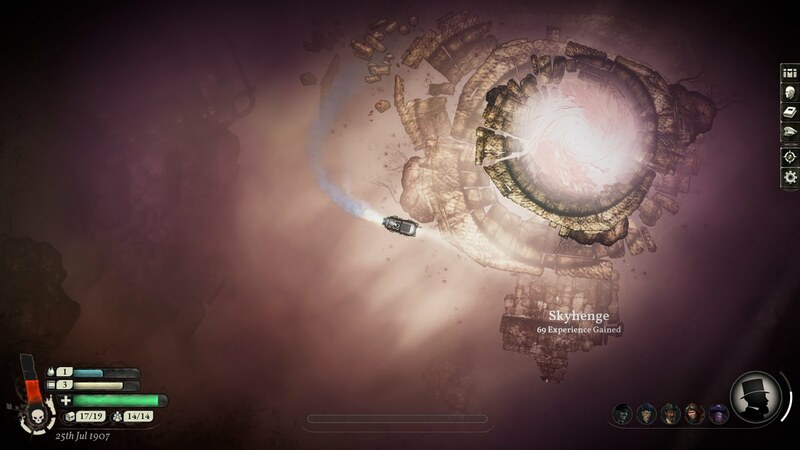 Fortunately, combat in Skies is pretty fun, and once you have an enemy's movements down, you should be able to complete most encounters without taking damage. For the simple enemies at the start of the game, it's simplest to line up so you're each facing each other, then fire your weapon. When they fire at or charge you, wait until they're close and then press Q or E to side-step the collision. Back away if necessary, turn around to face them again, and repeat. 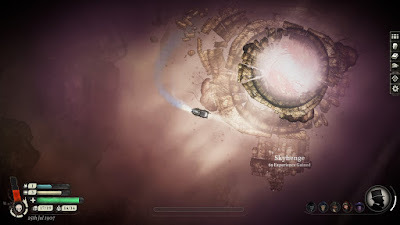 More advanced enemies later on will try to circle you, which makes it a bit more challenging as you need to lead your target, firing where you expect them to be. After several deaths (and every death I've had in this game has come from combat), I swallowed my pride and turned down the combat difficulty, which definitely helps as well. Using the environment is a huge help as well. 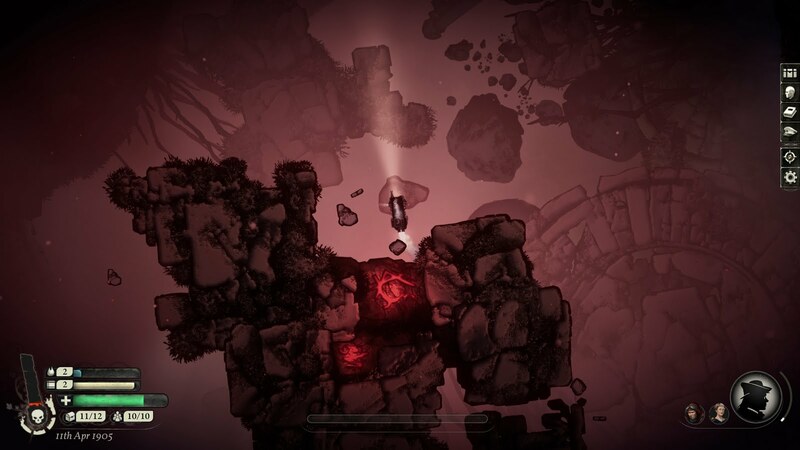 While you can't easily outrun enemies, placing an obstacle between you and them almost always suffices, as most enemies can't easily navigate around rocks. Even better: you may be able to pull a mutually hostile foe into the fight, letting the other two duke it out while you observe or flee. I've also found the rear-attack mine to be a game-changer. I'd initially imagined using it in the narrow corridors of the Reach to block pursuers forced to follow the straight channels. That works, but it does so much more! The mine can intercept and detonate your foe's projectiles, thus acting as a kind of mobile shield. It often staggers enemies when they hit, saving you from belligerent cantankeri or star-crazed captains. And they stick around a lot longer than forward bullets do: if I see an enemy coming from behind but still a ways off, I'll gradually drop off a series of mines as I proceed, raising the chances they'll damage themselves in their approach. The actual rewards from combat are comparable to those in Sea, and arguably better. You receive a very small amount of experience for defeating each enemy. 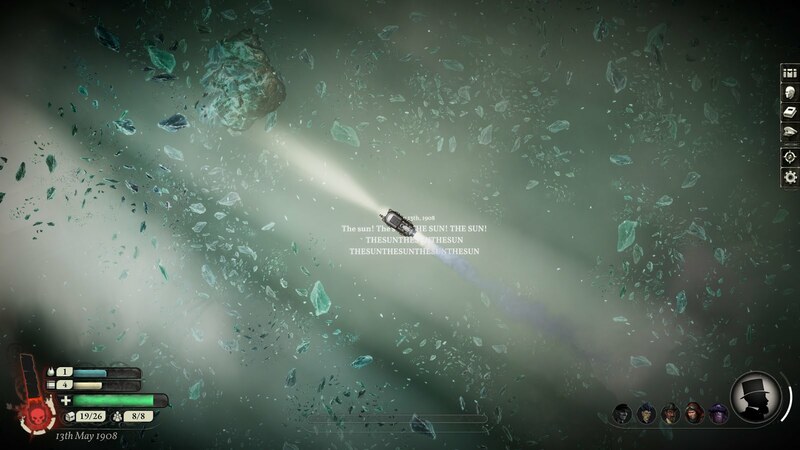 Once you fly over their wreckage and interact with it, you start a small storylet to choose your reward. These vary immensely: they may grant sovereigns, additional experience, possessions (like Salon-Stewed Gossip or a Savage Secret), crew, hull, supplies, pretty much anything, but always worth having. So, why not just fight everyone? I'm still calibrating my personal meter for when to fight and when to flee. Combat can be time-consuming, and you're burning fuel and supplies the whole time you're engaged. Defeating the enemy doesn't matter much if you're left adrift and starving to death. The cumulative damage from multiple battles can eventually wear down your ship. And, ultimately, the time you're spending shooting at baddies is time you're not making serious money on trade or advancing the dozens of intriguing storylines. It's still worth doing - in particular, it's a great source of Savage Secrets and other resources that can otherwise be difficult to acquire - but probably not worth prioritizing over other work. "Rescued" Captain Percy and delivered him to Hybras. That seems like the bad ending. I think I'll bring him to London next time. Provoked the Lustrum uprising. Revolution! Workers Unite! This seems to be a recurring theme in this game and I am All About It. Freed the servant from Traitor's Wood and let it possess me for a year and a day. Oh no, the sun's going out! During that time, the Tacketies won the Winchester War, throwing my "play them off against one another" scheme out the window. I'm hoping to try and pull the Stovepipes back into the game (for those sweet, sweet Ministry Permits), but that will need to wait. I still have a few pending quests in there, notably the Circus folk, the headmaster dude from Magdalene's, and whatever the hell is going on in Carillon. As I travel in Albion, more of my crew's stories are pointing me back to the Reach, so I'll likely head there in a few days to follow those up and take the opportunity to finish (or at least advance) those plots. But in the meantime: Wow, Albion is beautiful! I'm in serious awe of the glorious mechanized industry on display. It's fun, too. So far I've led a similar uprising on Brabazon (a possible homage to New Crobuzon? ), although it has ended (?) in a rather surprising evolution of the status quo. There's a recurring theme on the Albion ports of cities with both visible and hidden sides, making me think a little of The City And The City, and it's interesting to see those same mechanics (diminishing resource, limited time) being applied to different thematic ends. 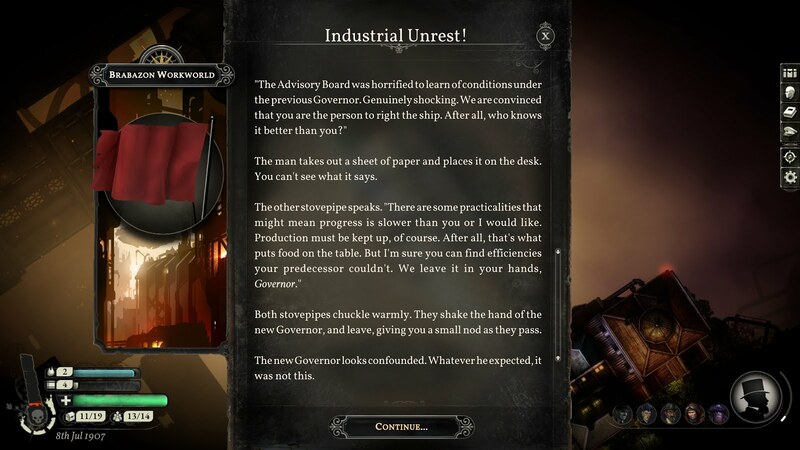 So far I don't really have a handle on the political situation in Albion. I mean, story-wise I'm mentally dividing it into owners and labo(u)r, but mechanically the Empress seems to have total control. 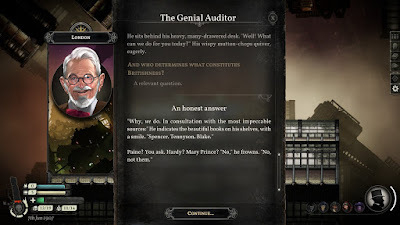 It seems like there's a plot afoot with the reticent bookkeeper in London, so after I've done some more work for them perhaps I'll find whether there's a more organized opposition in the works. 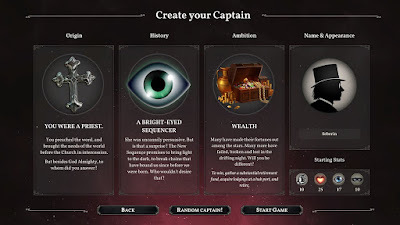 All of my captains thus far have been pursuing a Wealth ambition, as I did for my early Sunless Sea games. Lloyd has now purchased a handsome London property, and I'm about to start decorating it in a manner befitting my station. I'm curious to see how much further this ambition has to go. It's pretty perfect as a starter, giving me a strong sense of purpose while also having a lot of freedom and flexibility in pursuing it. 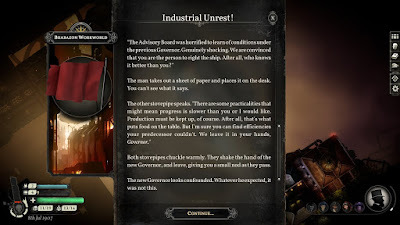 Okay, that's entirely too much writing about Sunless Skies. 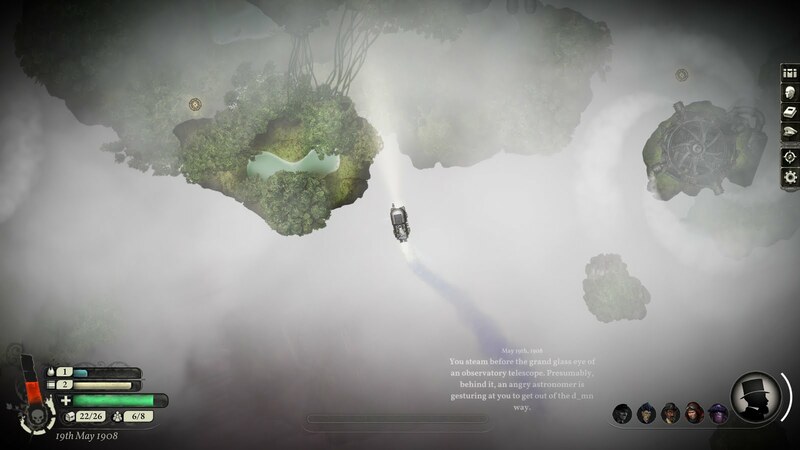 It's time to do much more important things, like play Sunless Skies. I'll see you in the High Wilderness! Sunless Skies just came out! 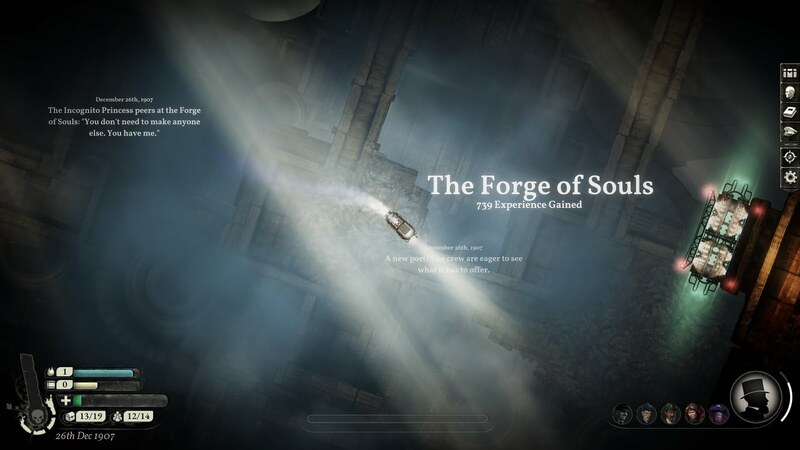 I'm in the very early stages of playing, and since this is one of the rare cases where I'm actually playing a game within a year of its launch, I thought it might be worth registering some initial thoughts. 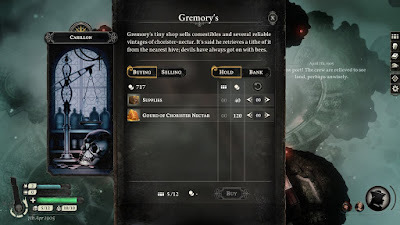 Unlike Sunless Sea, I never played the Early Access version of this game, though I have kept an eye on the Kickstarter updates and some general chatter on Twitter. 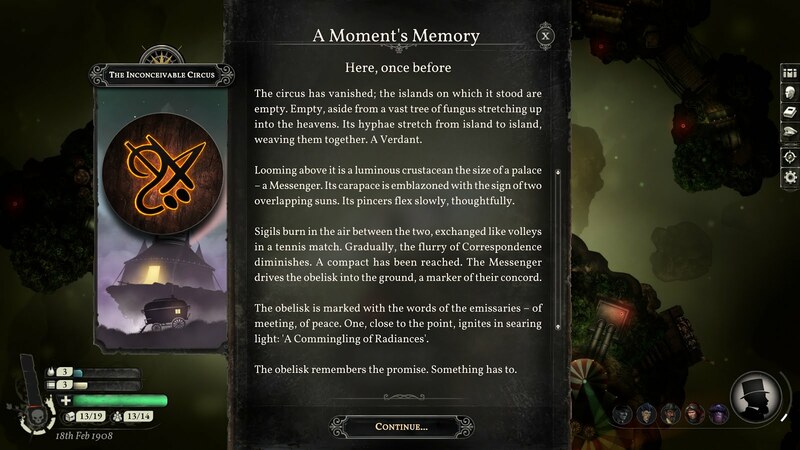 I've been very encouraged by the direction development seemed to be taking, calling out the few gripes I'd personally had with Sunless Sea while doubling down on the elements of that game I had loved. 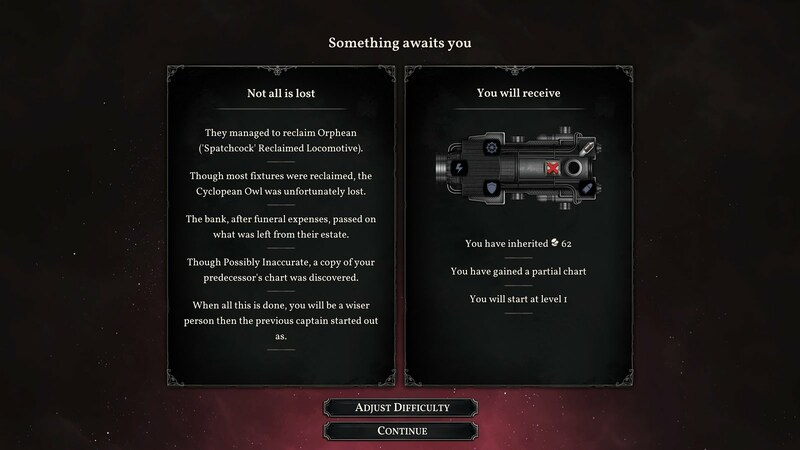 My first game of Sunless Skies was, uh, memorable! I got through the opening tutorial journey, created my Captain, visited the port, met with colorful locals, picked up some quests, ventured out... then started a fight and immediately exploded. I think the total game was about 10 minutes long, of which perhaps one minute involved me actually moving around on the map. I laughed and continued my lineage. I'd gotten very used to dying, and dying frequently, during Sunless Sea, and was certainly prepared for more of the same. Dying is a virtue in the early stages of the game, as you don't have much to lose and have plenty to learn. That first lesson was focused around combat. On the macro level, I needed to re-learn the caution I'd gradually developed while playing Sea: Battles are difficult and often unnecessary, and you can (and arguably should) win the game without ever firing a shot. But I'd also learned the micro level about how combat works in skies. Sea combat was about timing: holding an enemy in your sights long enough to develop a firing solution, then firing. Skies combat is much more about aim and heat. You fire your gun straight-on as your ship aims towards them, and (without Aim Assist enabled) will miss if you're even slightly to the side. More importantly, you can fire as much as you want and as quickly as you want, but each shot increases your Heat. Once you reach max Heat, each additional shot will do damage to you. So you can literally blow yourself up without getting hit at all! Which, in fact, was exactly what I had done. Whoops. I don't yet have a sense for if and how Skies will address my other gripe, how all the narrative elements reset to scratch on each new captain. You do definitely lose all of your Officers and stories and stuff. But I'm still early on in the game, and I'll be curious to see if, say, you can upgrade and retain your Officers or something. While I'm in compare-and-contrast mode: trading is a lot more fun in Skies than in Sea. Sea seemed to actively discourage and penalize you for trading: casual trading will almost always incur a loss, the most profitable routes dry up after a few iterations, and the few reliable routes have such low margins that you need to move immense quantities to be worthwhile. Skies is, to start, simpler: any given port will usually just sell one or two goods, and most goods will just be sold back in the hub, unlike the extremely varied cargo manifests of Sea. But instead of the relatively static arbitrage of Sea, Skies has more dynamic mission-oriented trading opportunities. For example, in normal cases, you might be able to buy Chorister Nectar from a colony for 120 sovereigns, and sell it in New Winchester for 120 sovereigns. No profit, and once you figure in fuel and supplies, a net loss. But sometimes when you pull into a port, you might find a Bargain to buy a limited supply of Nectar for just 85 sovereigns per unit. Now you can sell them for a profit of 35 per item, covering your expenses and then some. But best of all, you might find an Opportunity for a port that badly needs Nectar and is willing to pay 240 sovereigns. You can purchase it from a well-known market and profit 120; but if you can find a Bargain, you shoot all the way up to 155, plus a bonus (usually XP and a rare possession). So, unlike Sea, there (at least so far) aren't really any repeatable, grindable trade routes; but the trades you make are significantly more profitable, meaning you advance at a much more encouraging pace. This kind of shifts the entire rhythm of the game. Sea was always about making big loops out from London, usually along a well-known route where you could make profits. Skies seems to encourage medium-length loops: you still want to visit ports along the way to gather reports and check for new bargains or opportunities, but the big money is in opportunities, so you'll be spending more of your time chasing those or following up on plot stories than on completing circuits. Adding to this, costs are much more consistent across all ports. 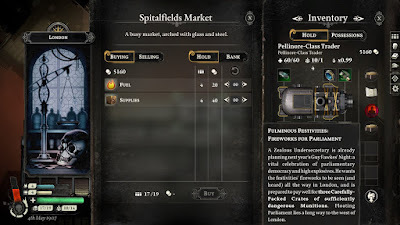 In Sea, you almost always wanted to load up on fuel and supplies in London, carefully calculating how much you would need for a planned voyage without taking on too much weight; if you ran low during a voyage, the higher costs at far-away ports could wipe out much of your profits. In Skies, though, Fuel is always 20 sovereigns and Supplies always 40 no matter where you are. In practice, this means point-to-point travel is much more feasible and enjoyable: You don't need to return to New Winchester in the way you used to need to return to London. Other ports can offer you the crew and equipment and stories you require to keep going. Sooner or later you will naturally drift back to New Winchester to turn in your port reports and everything else, but your route may end up looking more like a figure eight or a petal than a loop. I haven't yet purchased any new ships or ship upgrades. I have leveled up my captains a few times, though, and I love it! 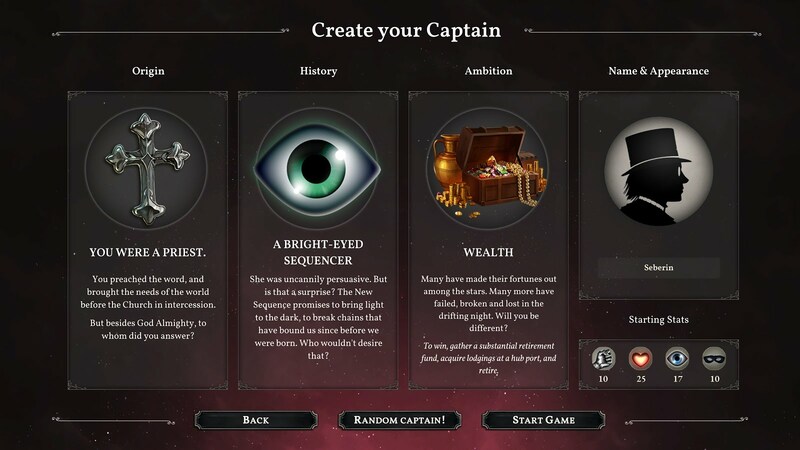 In fact, it might be the coolest leveling-up system I've played in any game: you're presented a set of options to define the backstory of your captain, each of which adds some flavor, some stats, and possibly some extra possessions or affiliations. For example, your character might be Haunted, which will will increase your Hearts; you can then select whether you were haunted by a Ghostly Presence, for some more Mirrors, or by Nightmarish Visitations, for some Veils. All those will also grant you a Tale Of Terror! Or maybe you had a Mentor, which gives you Hearts, Iron, and Villainy. A subsequent level-up may then grant a Feud With Your Mentor for still more bonuses. Anyways, this is all awesome. The one problem is I keep falling into the tension between my desires as a roleplayer and my desires as a min-maxer. 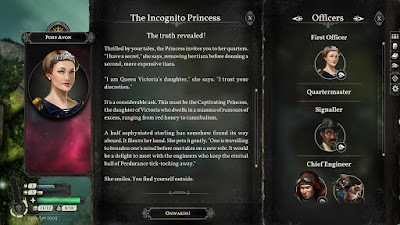 "Well, I feel like Seberin's scandal would have been a Torrid Affair... but I really need the Mirrors, so maybe I should choose the Parade Of Debauchery instead..." But that's on me, not on the game. This whole approach of the ongoing narrative development of your player character is one of the hallmarks of Failbetter games. 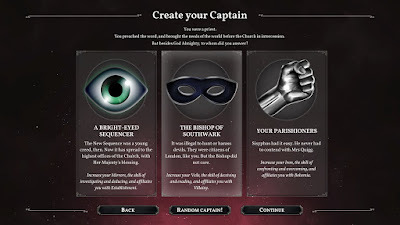 They use this to great effect in Fallen London: The initial character creation is extremely simple and swift, but as you play the game you are not just making in-game choices, but also defining the history and motivations of your character; more intriguingly, you anticipate your future Destiny as well. Skies has a similarly well-rounded approach, although there is much more flavor at every stage. Chargen is a lot of fun, starting out with your character's previous Earthbound profession: I've usually been playing as a Priest, but there are also Sea-inspired options like Poet and Urchin, as well as fun new ones like Revolutionary or Academic. You can also choose a specialization. I was really intrigued by the ones for Priest: I almost squealed when I saw the option to declare yourself a follower of the Bishop of Southwark, one of my all-time favorite characters in Fallen London. I was a bit surprised, though, to see that he added Veils and Villainy. The Bishop may be many things, but he certainly is not subtle! And I personally don't see him as villainous. After some more exposure to the game, though, I think this is getting at some of the major political realignments that have taken place between the 1890s and the 1900s, with the Bishop's old-school devil-thumping predilections on the decline. As it stands I've been aligning myself with the New Sequence, of whom I still do not know much but who are an intriguing force. The cameo stuff is all great as well, much more fine-tuned than the static portraits of yore. 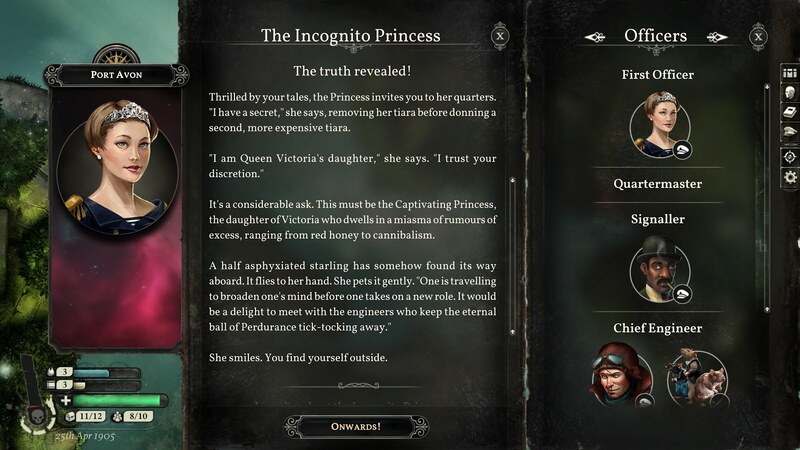 The game makes a point of informing you that your character's gender is your own business: You can select salutations like "My lady" or "Sir", but you never choose a pronoun or a categorized gender. So far I've flown under the titles of Reverend, Nurse, and, uh, I think Lady. I haven't found any romances yet, but given the Sea pedigree I suspect it's coming. Oh: And I kind of skipped over my second captain, where almost all of my gameplay time has been. She explored a significant chunk of The Reach, and I think found most of the ports. Things were a bit tight at first, but she got on a roll, making a significant delivery and kicking off storylines for several of her officers. Then she got bonked to death by space fish. Argh. I hate space fish, they're too fast to run away from. I don't yet know how to handle them, but I'll need to figure that out if I want my next captain to thrive. And there will be a next captain! I'm already looking forward to getting more mileage under my belt over this weekend, and hopefully in the weeks to come. I haven't even talked yet about how frickin' beautiful the graphics are, how wonderful the music is, how compelling the portraits... all that to say, there will definitely be more posts coming in the future!